The very best pools to swim are certainly indoor olympic pools. 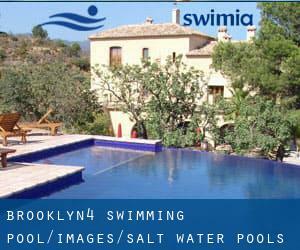 These would be the Salt Water Pools in Brooklyn (New York) (New York) other users have reported. Are you a local and your pool is not listed? Contact us to ADD IT. It's no cost! Please, use the make contact with details provided at each pool profile. Looking for Salt Water Pools in Brooklyn (New York) (New York)? Lots of of them belong to gyms or sport centers which also offer lessons. We at present have the following Salt Water Pools in Brooklyn (New York) (New York), but we are usually grateful for any corrections or contributions. Get in touch by way of our contact type. If you are visiting Brooklyn make sure you know the rules and regulation for swimming as they may not be precisely the same as inside your house town. Updated on 2019 290 Old Montauk Hwy. , Montauk , NY , USA (Postal Code: 11954). Swimmers like you reported 20 yards x 35 feet, 2 lap lanes, Salt Water, Indoors. Unfortunately we do not have the e-mail address of this Swimming Pool, but we can provide you with the phone number.